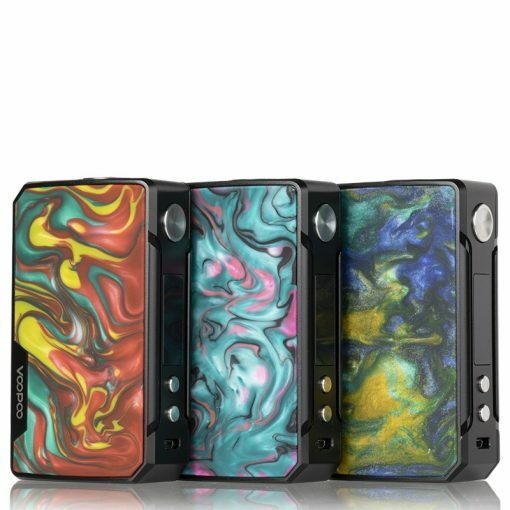 The long-awaited VooPoo Drag 2 starter kit hits our shores in early November 2018 with the all-new “revolutionary” GENE.FIT chip and the all-new Uforce T2 Tank. Designed with elegance and performance in mind the VooPoo Drag 2 offers you a device that is visually striking while packing a powerful punch. Their renown GENE.FIT chip will give you the ability to power any coil you throw at it, Titanium, Stainless Steel, Ni200, and Kanthal so you can virtually connect any 510 threaded sub-ohm tanks and expect to have the best vaping experience.